When you think of braces, you may imagine traditional, metal wires. Dr. Matthew Milestone and the team at Milestone Orthodontics are experts in Invisalign near Rutherford NJ. Dr. Milestone is proud to have been nominated by his peers as a Top Orthodontist in NJ Monthly from 2009 to 2013. He has also been featured for the past 11 years in The Guide to America’s Top Dentist. Why Choose Invisalign Near Rutherford NJ? • Removable: The aligners can be removed to allow for easy maintenance of dental hygiene, but can also be taken out to eat. 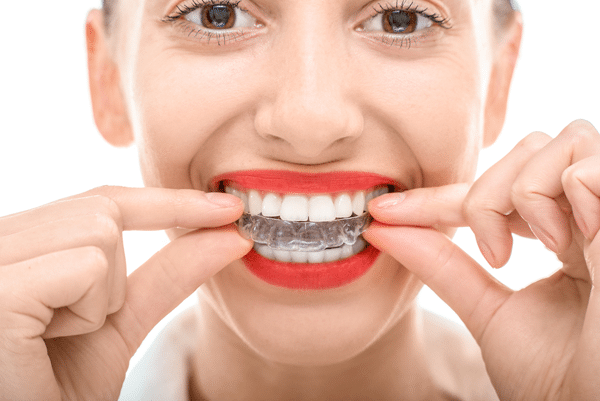 • Nearly Invisible: Because the aligner trays are clear and far less conspicuous than traditional, metal braces, they are the top choice for those who choose to pursue orthodontic treatment as adults. • Shorter Treatment Length: Invisalign tends to require less time than typical, metal braces. Choosing Iinvisalign near Rutherford NJ is a great decision for adults and teens, alike! They are a discreet and simple option to traditional braces. Be sure to contact the office of Milestone Orthodontics for a FREE consultation! Let us help you to begin the journey to your most beautiful smile, today! Dr. Milestone and the team at Milestone Orthodontics are experts in Invisalign. If you have any questions pertaining to braces, clear braces, Invisalign, or Invisalign Teen in Rutherford, NJ, Paramus, NJ, Saddle Brook NJ, Passaic NJ, Bergen County NJ or would like to schedule a complimentary consultation with Dr. Milestone, contact Milestone Orthodontics at: 201-845-8411.